The following information was provided by the Cherry Hill Fire Department. 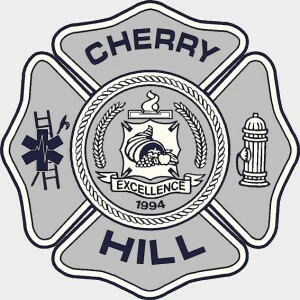 The Cherry Hill Fire Department responded to 9–1–1 calls at 10:04 a.m. on Jan. 28 regarding a house fire on the 400 block of Sheffield Road in the Kingston section of Cherry Hill. Two ladders and the Battalion Chief responded to the scene where firefighters arrived within five minutes of dispatch to find heavy smoke showing from the front of the house and fire from the side and rear windows of a two-story house. While firefighters were en route, they were advised an occupant was still in the home. Firefighters were faced with heavy fire and smoke conditions and they advanced hose lines to the interior of the home to extinguish the fire and they searched for the occupant. Search crews located the occupant, later identified as 25-year-old Jennifer Farino, in a second floor window. She was removed and treated by Cherry Hill EMS and Virtua Paramedics. She was transported to JFK Hospital in Cherry Hill, where she later died from her injuries. Three firefighters sustained minor burns during the search and rescue. They were treated at JFK Hospital and were later released. The fire was under control within 38 minutes. Pennsauken and Mt. Laurel Fire Departments provided assistance. The fire originated in the kitchen and was deemed accidental. The Cherry Hill Fire Department Fire Marshal, Camden County Fire Marshal’s Office and Camden County Prosecutor’s Office are still investigating the exact cause.